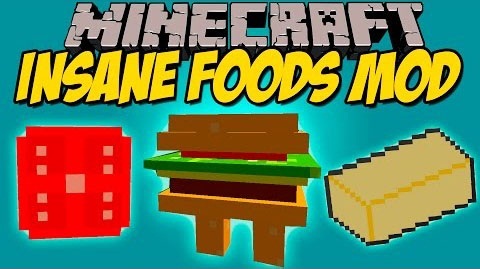 Insane Foods Mod is just a fun mod that installs to Minecraft more food with their insane effects. It also adds a variety of tools and ingredients to create those foods. 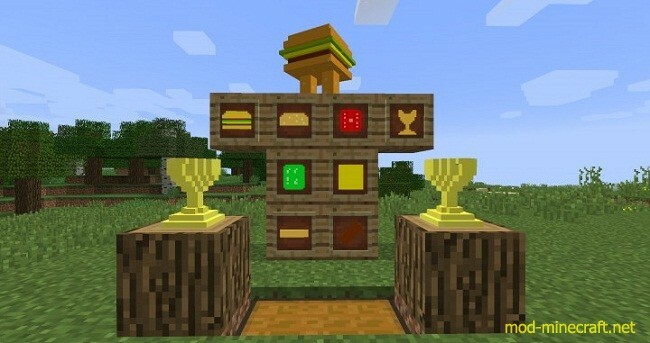 This mod has a friendly burger mob, called “Burger Boy”, which has 8 health and drops all the items required to make a burger when killed.